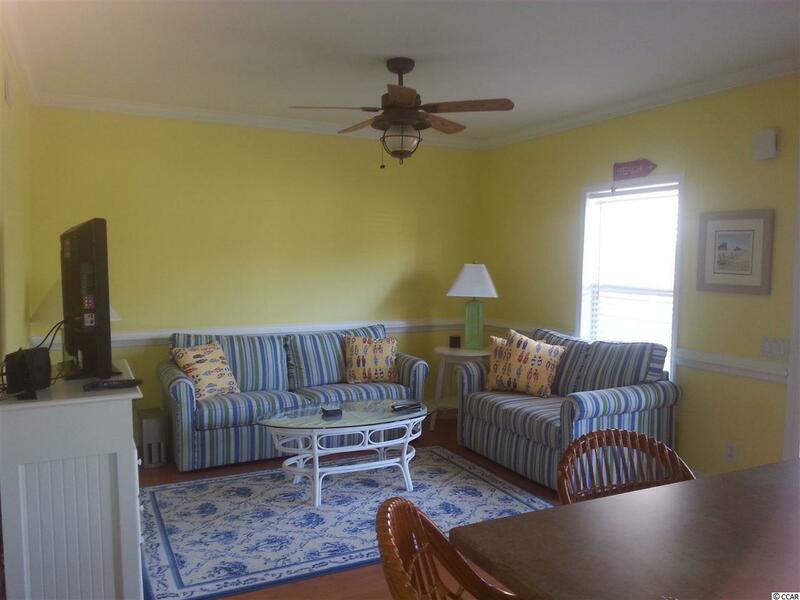 Just a short walk or golf cart ride to the beach, this 2 bedroom, 1 bath fully furnished, 1st floor condominium is located right in the heart of Cherry Grove. 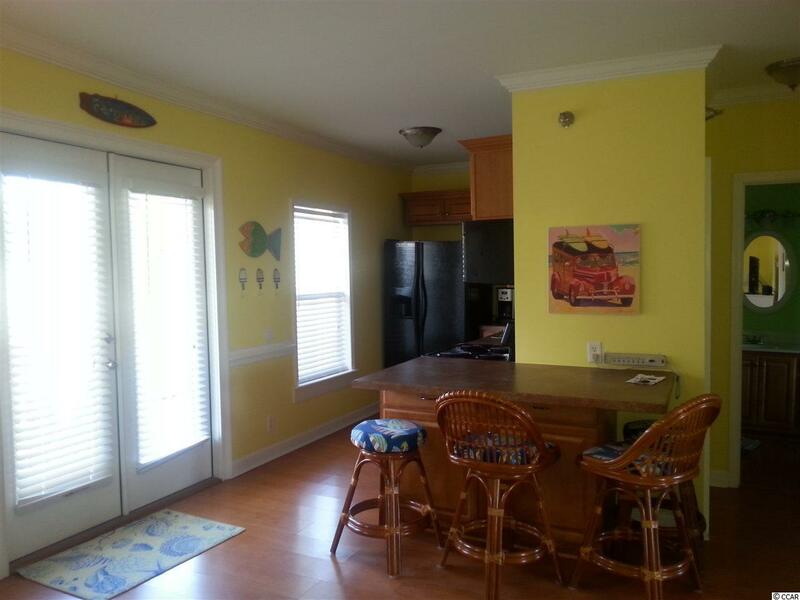 The kitchen offers 36" fully trimmed cabinetry with black appliances. 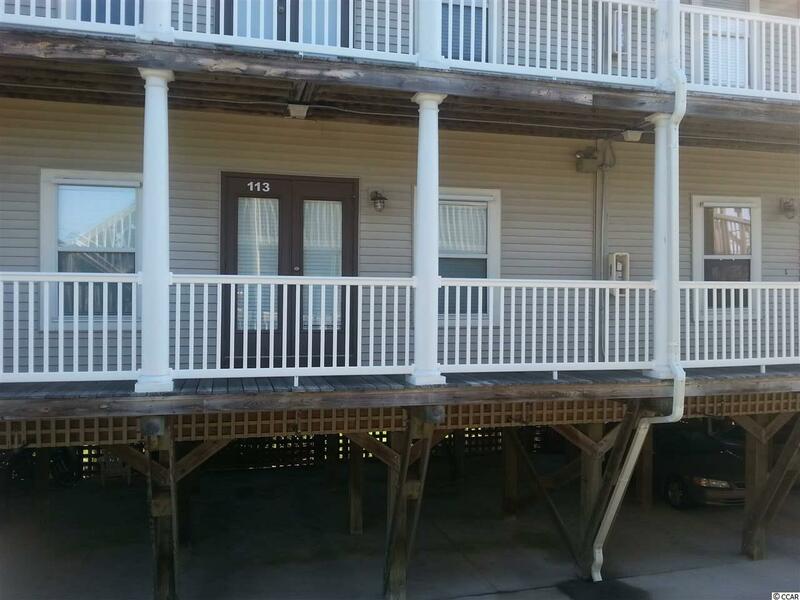 This home is perfect spot for a beach getaway, investment property or a place to call home. 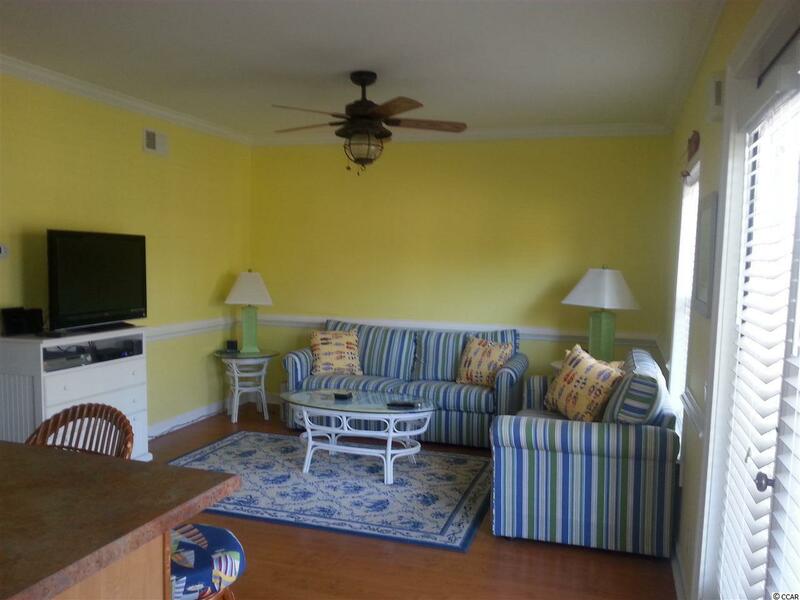 Close to shops, restaurants, entertainment, golf courses and the beautiful, blue Atlantic Ocean but in a small, quaint complex. Do not miss this opportunity to own your own place in the sun! Square footage is approximate and not guaranteed. Buyer is responsible for verification.